Email Claudine San Nicolas, Reach out to our Program Director for information on our program, how we can collaborate and continue to make Maui a better place to live. All administrative and program related questions should be directed to our Program Director. Email Dr. Mary Trotto, Fundraising and Special Event Leader. Dr. Mary is the organizer of the Hale Kau Kau Auction, the Mulligan's Golf Tournament, the annual Easter Bread Sale, and many more annual events. If you would like to make Hale Kau Kau a beneficiary of your fund raising event, please contact Dr. Mary Trotto! 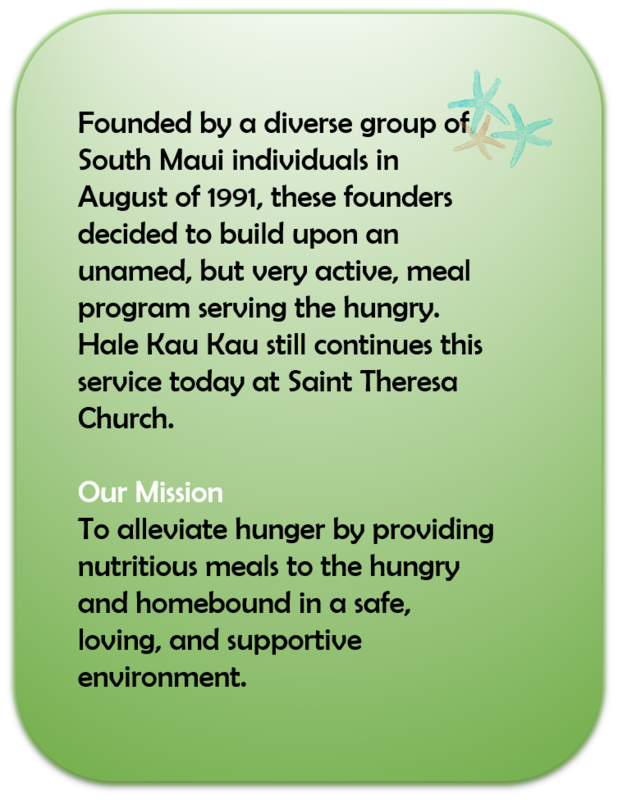 Email the Hale Kau Kau Volunteer Coordinator, to begin an exciting volunteer experience. You will help with getting integrated as a new volunteer, help with training, and making sure your experience is the best. No matter how you are referred to Hale Kau Kau, we can help you! 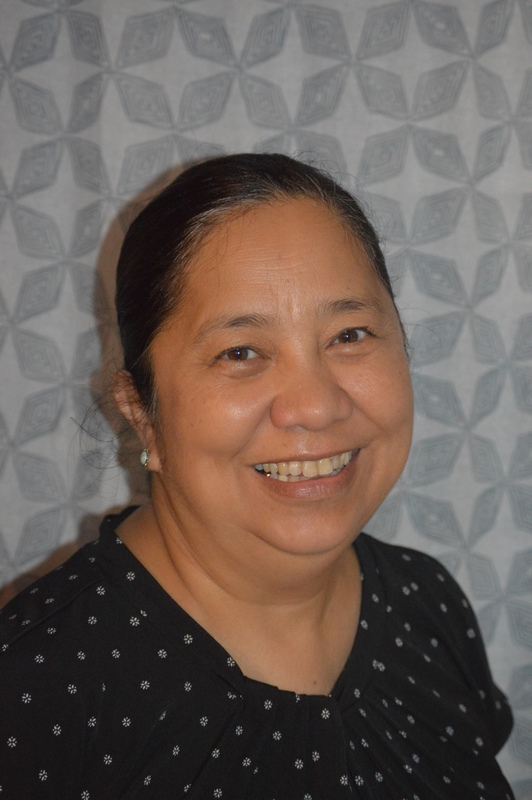 Email Claudine San Nicolas Hale Kau Kau Homebound Delivery Coordinator for information on how to begin to receive meals for the home bound and elderly.